It is the eve of Christmas Eve!!! Are you busy? Been busy? About to get really busy?? I’ve been busy. Accomplished a lot yesterday to get ready for today. Today we have a Christmas dinner party at a friends house. It was a very nice time. Lot’s of food and fellowship, something I needed today. We came home and decided upon these yummy, little cookies! Daniel helped me make them. 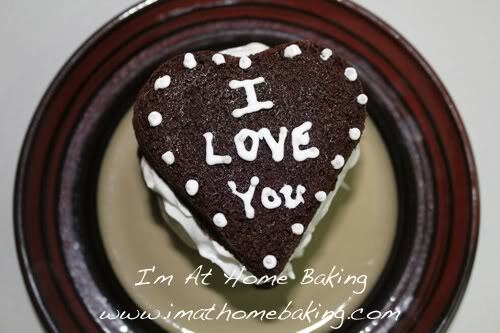 I am really enjoying him baking with me, it has added more fun to it for me. These cookies will be going to a single sailor/unaccompanied Christmas lunch taking place on Christmas day. I am tired, really tired but happy. Tomorrow morning, early…very early…like 6am early brings more baking and getting everything ready and prepped for our Christmas dinner and our desserts. We will be watching Christmas movies and listening to Christmas music, having fun together! I hope you are all ready for the magical day that is almost here!!! Heat oven to 350°F. Stir together flour, cocoa, baking soda and salt; set aside. Beat butter and sugar in large bowl with mixer until fluffy. Add eggs and vanilla; beat well. Gradually add flour mixture, beating well. Stir in peanut butter chips. Drop by rounded teaspoons onto ungreased cookie sheet. Bake 8 to 9 minutes. (Do not overbake; cookies will be soft. They will puff while baking and flatten while cooling.) Cool slightly; remove from cookie sheet to wire rack. Cool completely. About 4-1/2 dozen cookies. Thankfully there has been a steady flow of Christmas packages arriving daily now! Several more came today and we are now almost ONE week away from Christmas and I need them to get here quick! I now roll my eyes when I get weather notifications from the local Japanese weather people…We had snow storm advisories several times recently and well, we got rain instead….boooo! I am hoping to score another crate of apples out in town Wednesday! If not, there will be trouble…for me,lol. 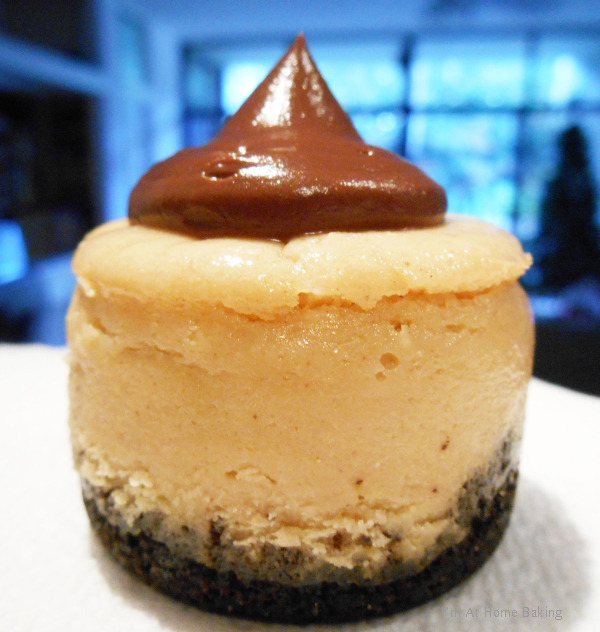 I will have to change my desserts if I can not, for a Christmas party at a friends house this coming weekend. We shall see! I am looking forward to starting a new year…How about you? Chill dough for at least 30 minutes (or up to 5 days) in the refrigerator. 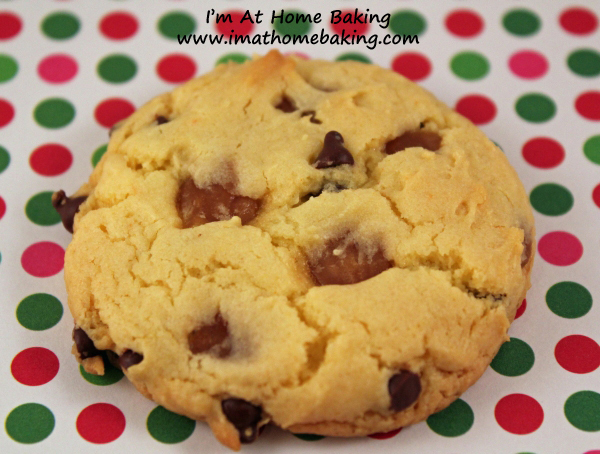 Use a cookie scoop and place onto ungreased baking sheet or use parchment paper. Press several caramel bits into the tops of the cookies. Bake for 8-10 minutes or until edges are slightly browned. The centers should appear very soft and puffy. Wow, day 7 is here!! Where is the time going? It is flying by and before I know it, it’ll be Christmas Eve!!!! I try to slow down a bit this time of year, really soak in the season and enjoy it. What about you?? Today’s cookie is a simple but delicious, a chocolate cookie with smashed peppermint candy canes sprinkled on top and “pressed” into the cookie with the bottom of a glass! I don’t have these posts pre written or cookies made ahead of time, in case anyone was wondering. I bake a fresh batch daily, then post! In other news, we had a 7.4 earthquake here in Japan earlier today and we also had a tsunami warning. The earthquake was very big and everything in our home moved, and not in a slow, calm manner either. We are fine. All another part of living here in Japan, sure makes things interesting sometimes! In the bowl of a stand mixer fitted with the paddle attachment, combine the oil, chocolate and granulated sugar and blend on medium speed. With the mixer running, add the eggs, one at a time, followed by the vanilla, scraping the sides of the bowl as necessary. There may be some small clumps of sugar in the batter at this point. Add the dry ingredients and mix on low speed, stopping once to scrape down the sides. Mix until just incorporated, 2 to 3 minutes. The dough will be sticky. Chill for 1-2 hours. Make dough into 1-inch balls. Bake 9-10 minutes. Remove from oven. 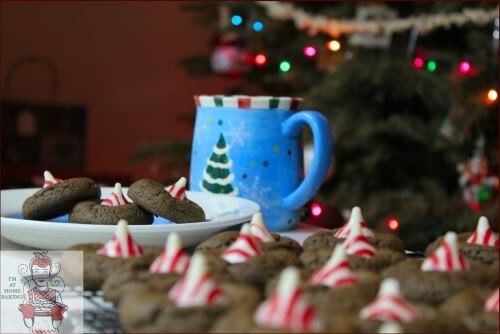 Sprinkle the crushed candy cane on each cookie. Gently press it into cookie with the bottom of a glass. Let rest on cookie sheet for 1-2 minutes, until cookie has set. December is moving along! 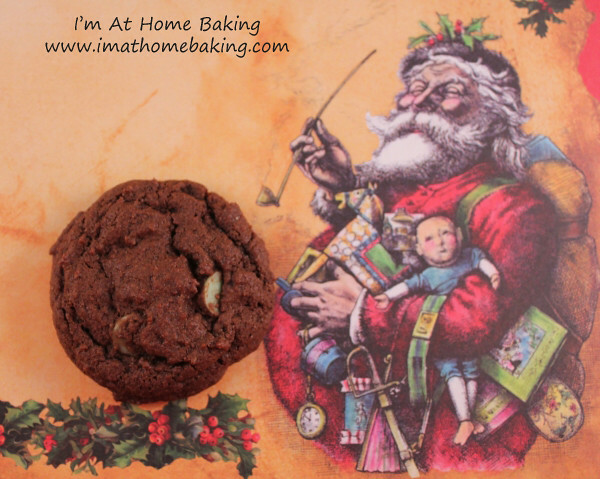 We are already on day 4 of 25 Days Of Christmas Cookies! Have you done your Christmas shopping or shopping for whatever special holiday your family celebrates? Or have you put it off and will wing it any day now?? We are almost done I think. I am looking at at least one more smallish purchase. Then on December 15th we both go off and do stocking stuffer shopping. This includes candies and little gifts! If you are not aware, today is Nation Cookie Day! So get baking!!! I really was not aware of it till I saw a post from one of my favorite baking spaces earlier today. Since I was baking cookies today & well, every day till the 25th…I figure I have National Cookie Day taken care of. In honor of National Cookie Day, I will ask you a question! “What Is Your Favorite Cookie”? Mine, aside from Chocolate Chip, are Sugar Cookies!!! Yum 🙂 Happy Baking! It is Monday morning for everyone in the states while it is rounding out the end of the later evening here in Japan. In a few short hours it will be a brand new day and maybe another baking adventure! I finally was able to get a job here on base & while that makes me very happy, it will severely cut into all of my baking time! TGIF? I think so. But, right now it is only the very beginning of the week. Landing this job was a really quick thing, in only a few short days I was hired and I worked all day today! It was a very longish yet fulfilling day. Since I am not working tomorrow I need to try to take advantage of now precious baking time and I am thinking a homemade garlic bread to go with our dinner tomorrow night. If you have not noticed, I am in love with anything mini. Partially because they are just cute and secondly, minis feed a lot more people at a time and since I send them all into work with hubby, the more, the better! So mini it is! These were very tasty and even more delicious the next day. Measure and add all ingredients except the 6 oz. melted semisweet chocolate chips. mix until blended. Add melted chocolate and beat for 3 minutes. Spoon into mini muffin tins by 1 teaspoon. Bake 12-18 minutes or till a toothpick inserted in the center comes out clean. Cream butter and shortening till light and fluffy. Slowly mix in powdered sugar and dream whip. Add in ground oreo cookies, till evenly blended. If to thick add one teaspoon of milk at a time. 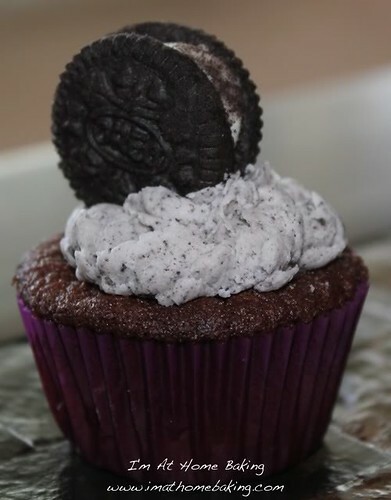 Add a mini oreo cookie to the tops of each mini cupcake. How was everyone’s Valentines Day? Mine was wonderful then ended in a painful BANG on icy concrete having to be scraped off said concrete by my loving husband. Ohh what a night! I am still recovering from the nasty fall. I smashed my ankle, then my knee got the brunt of it, splitting it open. Lovely stuff really. I am stiff and can not move really well but all should heal just fine! Now, onto the happy stuff! Ohh, incase you are curious I got beautiful flowers, small chocolates, a video game and a cute stuffed froggy. Speaking of love..were we speaking of love? Today my husband proposed to me 11 years ago! So in honor of both days I wanted to make him something super sweet. I love making “smaller” sized cakes when it is being made for an individual person. So I decided upon a 3 tier mini heart shaped cake. I don’t remember the last time I made a devil’s food cake and thought it should be amazing, well we all hope everything comes out amazing on the first try, right? Sometimes I am lucky, others..not so much. This recipe is a winner though. It is rich, it is dark, very moist and all together yummy. It will now be my go-to when I am wanting a devil’s food cake although just because I found a go-to does not mean I won’t give other recipes a try, I’m a baker! Tomorrow I will be posting the recipe for the frosting if you are interested in the one I’ve paired with this delicious cake. Spray the 3 tins with Baker's Joy or any other spray or you can also use butter. Sift together the cocoa powder, cake flour, salt, baking soda and baking powder. I another bowl of either your electric mixer or hand mixer beat the butter and sugar for 5 minutes. Add the eggs one at a time till fully incorporated. Mix together the milk and coffee. Stir in the dry ingredients with the wet. Pour into prepared heart shaped mini tins. 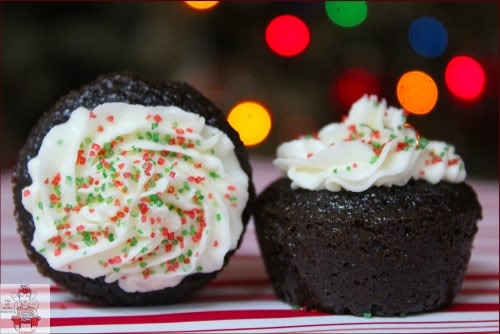 There will be excess batter so you may want to make a small round cake or some cupcakes on the side! I normally do not frost a cake till the next day. After the cake is fully cooled I wrap it tight in plastic wrap to let the cake settle overnight and frost the next day. Do not make the mistake of overfilling the small mini pans or you WILL have a mess in your oven. This happened to me on my first try of making these. I say fill them no more than half way! For a 9-inch cake heat oven to 350, Bake for 25 minutes or till toothpick comes out clean. I hate when I have a baking flop, happened to me earlier in the week and it made me a little grumpy. It was a new recipe I was trying. As with all new recipes, failure sure is an option. The cupcake was wonderful, the frosting was less than flattering. You throw it out and move along, right? 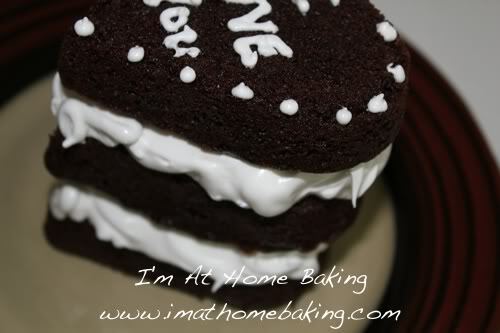 I have a question…Do you eat everything you bake or just “test” it to make sure it is yummy? I honestly rarely eat what I bake. However, I do “test” or “sample” it to make sure it is wonderful and fit to give to others. Then I send it with my husband to share at work. I know the single sailors really appreciate it. Here is a new recipe I just tried out for the first time, with awesome results and it was delicious. The sour cream helps make this cake moist and of course the chocolate & coffee combination are to die for, especially as a pick-me-up in the morning. It’s also great as a snack with coffee or even tea! Preheat oven to 350 degrees. Butter & flour a 10 or 12 cup Bundt pan. In a small bowl, mix together the sugar, instant coffee, and cocoa; set aside. Using an electric mixer, cream together the butter & sugar till light & fluffy. Add one egg at a time, beating until just combined. On medium speed, mix in ⅓ of the flour mixture, then ½ of the sour cream. Repeat until you end with the flour. Add vanilla and mix, scraping the sides of the bowl well with a spatula. Pour ⅓ of the batter into the prepared Bundt pan and sprinkle 1.2 of the filling on top. Pour in another ⅓ of the batter and sprinkle the remainder of the filling on top of that. End with the last ⅓ of the batter. Run a knife threw the batter to marble & swirl it. 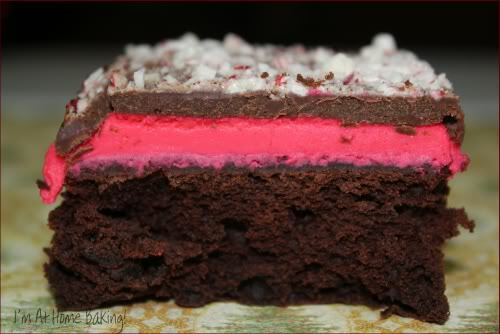 Bake 45-50 minutes, or until a toothpick or cake tester inserted in the middle of the cake comes out clean. Cool on wire rack for 30 minutes. Remove from Bundt pan and finish cooling on plate or serving platter. 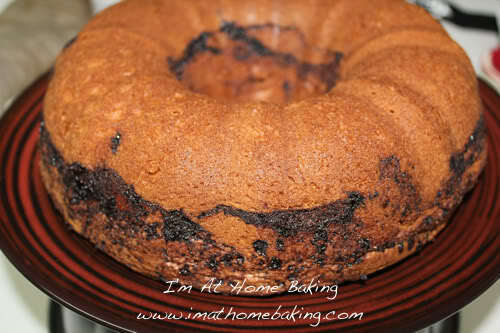 The batter may be a bit thick, so what you need to do to get it to lay flat is tap the Bundt pan on a hard surface! 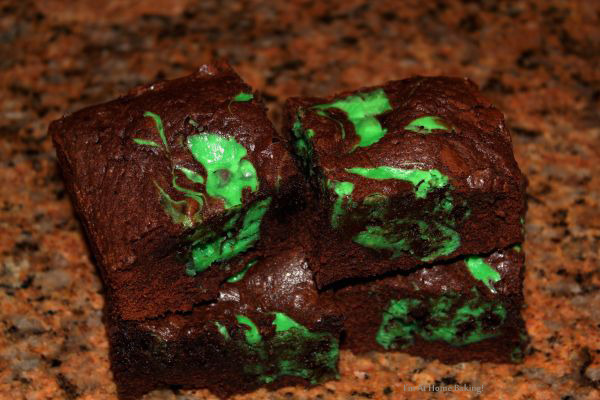 Chocolate & Peppermint? Yes please! Such a perfect combination of flavors and they are also visually appealing. 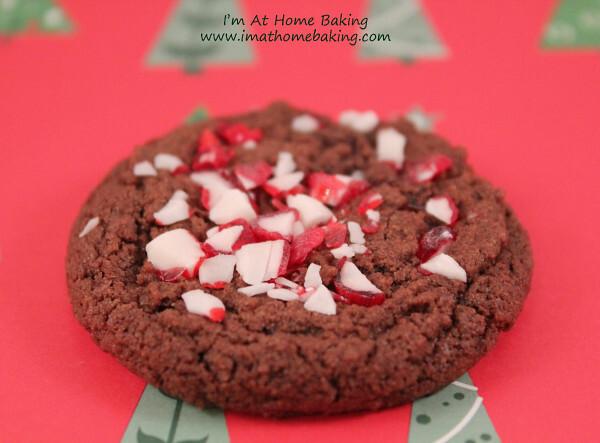 I’ve not made this specific cookie before but when I saw the peppermint kisses, I could not resist & knew pairing it with a dark, yummy chocolate cookie would make these an amazing sweet treat! It also helps that it is Christmastime and peppermint anything, goes. It was another perfect day for baking, the snow was falling, it was cold outside and I had Christmas music playing, heaven to me. What are your favorite flavor pairings? Does it change by season, or are you one to stick with what you love no matter the time of year? 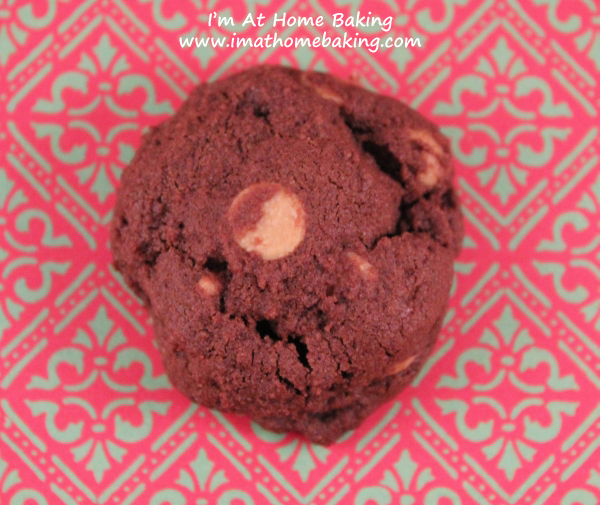 Make this dough the night before, it really helps to meld flavors and deepens the taste and color of the chocolate &amp; it is very easy to handle and form the cookies! 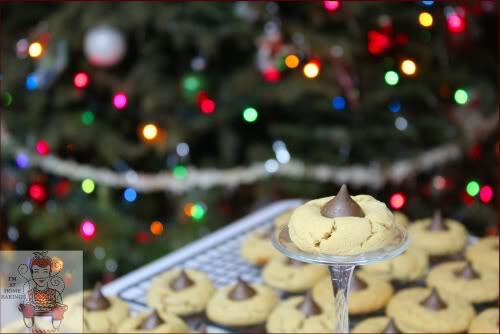 To start off my Christmas week of baking yummy cookies, I went with a favorite of my husbands, Peanut Butter Kiss Cookies. I actually tried two different recipes. 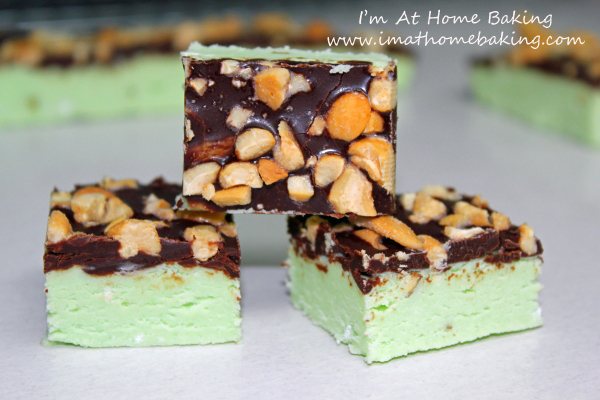 The first was horrible and I will not share and the 2nd one is my tried & true recipe. Sometimes it is just best to stay with what you know. I made a double batch and got over 120 cookies! It was a perfect day for baking as we’ve been almost snowed in around here the last few days! I hate to admit to it, but I really am not a huge fan of peanut butter. I like it with jelly in a sandwich and sometimes on a spoon with a little milk but outside of that I really don’t want much to do with it. Anyone else the same way? Cream together granulated sugar, brown sugar, shortening & peanut butter. Add eggs, milk & vanilla; beat well. Stir together flour, baking soda, salt & add to peanut butter mixture. Beat well, shape into 1 inch balls; roll in additional granulated sugar, if desired. Place on ungreased cookie sheet. Bake for 8 minutes. Remove from oven. Press on Kiss candy into center of each warm cookie. Return to oven, bake 3 minutes longer. Make 6-7 dozen cookies. If you would rather, you can do as I did and skip the step of taking the cookies out and pressing the kiss in, then returing it to the oven for a few more minutes. It is not needed and so instead of baking cookies for 8 minutes, cook for 11 minutes. Remove them and immedietly push the kiss into the center of cookie!